2018 marked 80 years of business for APT. The celebration took to the road with an eight-stop, 80th Anniversary Road Show culminating with a grand-finale event in their hometown of Santa Ana, California. 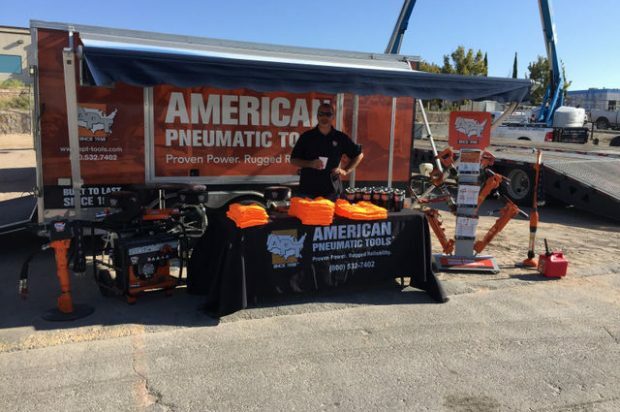 The Road Show, which kicked off in February at The Rental Show in New Orleans, stopped in Orlando, Florida; Lancaster, Pennsylvania; York, Pennsylvania; Mason, Ohio; Annandale, Minnesota; Hobbs, New Mexico; El Paso, Texas; and Santa Ana, California. At each event, attendees enjoyed demos, games, prizes and food. Photos and thank-yous were shared along the way on APT’s Facebook, Twitter and LinkedIn channels. 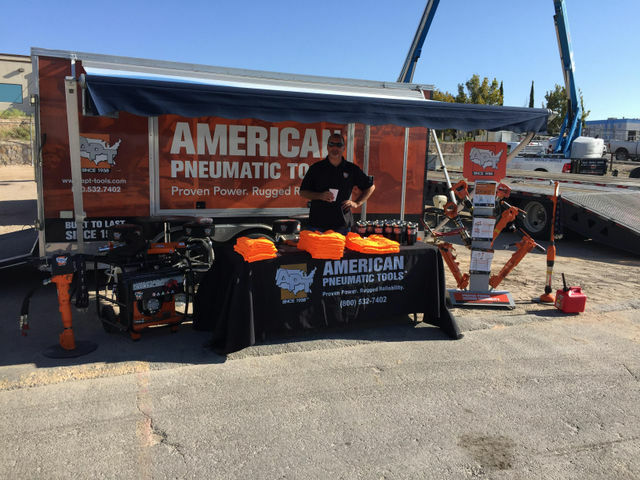 In addition to smaller prizes at every stop, APT was accepting entries for the grand prize: an APT 110 compressor and 160, 60 lb. breaker package. The winner was announced at the grand-finale event, and the prize package will soon be on its way to its new owner, All Star Rents in Fairfield, California. When the call was made to Andrew Devries at All Star Rents to deliver the good news, Devries, who said he hasn’t won anything in a very long time was ecstatic. For more info on APT, click this link. You can do it!